The United States Military is comprised of five separate branches, each with unique responsibilities and capabilities for projecting U.S. diplomacy and protecting U.S. interests, both at home and abroad. 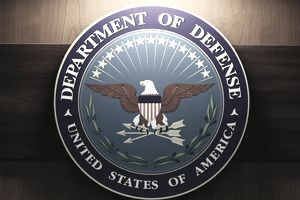 The four branches primarily responsible for the conduct of warfighting make up the United States Department of Defense, which is the parent organization for the U.S. Navy, Marine Corps, Army and Air Force. Each of these branches utilizes their police services that include civilian DoD police officers, military police, and special investigative units. Likewise, the Department of Defense is home to the Defense Criminal Investigative Service. DCIS special agents work to support the mission of the department and curtail criminal activity and corruption. The Defense Criminal Investigative Service is the investigative arm of the Department of Defense's Office of Inspector General. The job of the inspector general is to conduct audits and investigations into DoD affairs, recommend and coordinate policies to find efficiencies and best practices and to mitigate and eliminate inefficiencies, criminal activity, crime, and corruption within the department. Like other military investigative services, DCIS special agents are tasked with conducting investigations of major crimes that affect the department. Unlike other services, which deal largely with person's crimes (crimes against people, such as murder, sexual assault, and battery, or robbery), DCIS agents are primarily responsible for crimes involving fraud, finances, and threats to national security. The Department of Defense is a massive agency, with a massive budget and procurement system. Every day, it purchases tremendous amounts of equipment and materials and executes contracts worth hundreds of millions of dollars. Human nature being what it is, this leaves the department-wide open to those who would seek to profit by committing fraud. DCIS special agents are specially trained to investigate financial crimes as well as fraud related to purchasing and contracts. This may include companies or individuals who knowingly or negligently sell poor, defective or substituted products to the department, particularly when such practices may affect the safety of military personnel. Because DoD employees may be complicit in these types of crimes, a major function of DCIS is weeding out public corruption at all levels of defense. Special agents are also tasked with investigating theft of DoD property, especially theft of sensitive systems and technologies that, in the wrong hands, could threaten the security of the military and of the United States. These investigations include looking into black market organizations and hostile foreign nations and terrorist groups. The DCIS is also tasked with investigating cyber crimes and helping to protect the nation's defensive technology infrastructure from attack and theft of information. Agents work closely with other federal law enforcement entities to safeguard national defense interests and protect U.S. troops, both at home and overseas. The DCIS also employs polygraph examiners and other specialists to support the investigative responsibilities. DCIS special agents work all over the world; essentially anywhere the United States Armed Forces have a presence, DoD agents may be called upon to conduct investigations. The DCIS conducts overseas contingency operations all over the world and has agents assigned to the Middle East and Asia. Specific requirements will vary depending on what grade candidates are seeking to be hired at. All prospective agents must be U.S. citizens between the ages of 21 and 37. The most competitive candidates will hold, at a minimum, a bachelor's degree and either has prior military or law enforcement investigative experience. Relevant experience includes work involving interviews and interrogations, preparing and executing search and arrest warrants and coordinating complex investigations. Top Secret security clearance is required for special agent positions, which means a polygraph exam and a fitness for duty evaluation will be required. The hiring process will include an extensive background investigation, as well as an oral interview, drug tests, and medical evaluations. Special agent candidates will also be required to participate in a physical abilities test to determine whether or not they're physically capable of performing the functions of the job. The physical assessment includes a timed 1.5-mile run, a flexibility test, and maximum sit-ups and push-ups. New agents are required to successfully complete the Basic Agent Training Course at the Federal Law Enforcement Training Center in Glynco, Georgia alongside officers and agents from other federal law enforcement agencies. They must also complete a specialized inspector general training course and rigorous DCIS special agent training. DCIS special agents can earn between $47,000 and $87,000 annually, depending on level of education and experience. DCIS special agent vacancies can be found on the Department of Defense website or at USAJobs.gov. Is a Career Right for You? DCIS agents have a unique function within the military law enforcement and investigative community. If you have a passion for eliminating public corruption and working to protect American troops and military interests, then working as a Defense Criminal Investigative Service special agent may very well be the perfect criminology career for you.